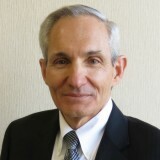 Home · About · Louis Basso Jr.
Louis Basso is CEO and Chairman of the Board of Alcott HR, a professional employer organization (PEO) he co-founded in 1987. Alcott HR provides a one-stop shop for all of a business’ human resources (HR) related needs, including payroll, employee benefits, compliance, risk management and more, empowering those businesses to focus on revenue-generating activities in order to grow. Under his direction, Alcott has grown from serving a client base of 35 companies with a couple of hundred employees to now serving hundreds of clients and thousands of worksite employees. The company was named to the 2015 Crain’s New York Business List of Top 150 Private Companies, an achievement it has held in past years as well. Mr. Basso is very active in the PEO industry and with organizations representing small business. He is the Leadership Council Chair of the New York State Leadership Council of the National Association of Professional Employer Organizations (NAPEO). He is a past President and Vice President of NAPEO, as well as past Chairman of NAPEO’s Federal Government Affairs Committee. He is also a past President of the Employer Services Assurance Corporation (E.S.A.C. ), a PEO certification credentialing body. Mr. Basso is a recipient of NAPEO’s prestigious “Michaeline A. Doyle Award” for his consistent demonstration of leadership in the PEO industry and exemplary performance of his duties with regard to PEO industry activities on a local and national basis. Mr. Basso’s entrepreneurial leadership has earned him a Finalist ranking in the “Entrepreneur of the Year Award” sponsored by Ernst & Young. Additionally, Mr. Basso has been previously named the “Small Business Advocate of the Year” by the National Federation of Independent Businesses (NFIB) and The Business Council of New York State, Inc. He has also acted as a delegate to the National Small Business Summit, an event co-sponsored by the same two organizations. Mr. Basso has also received the NFIB’s “Small Business Champion” award. In 2007, he was one of the first inductees into the New York State Business Hall of Fame. Mr. Basso has testified before government agencies on various aspects of PEO regulation and has lobbied extensively for federal and state PEO regulation. Former New York State Governor George E. Pataki named Mr. Basso a Member of the Workers’ Compensations Special Funds Study Commission, a position for which he was nominated by the New York Chapter of the National Federation of Independent Businesses. In this capacity, he provided his experience and expertise in helping with an evaluation of the State’s Workers’ Compensations Special Funds program and recommendations for its optimization. More recently, he was appointed by New York State Governor Andrew Cuomo to serve on the Long Island Regional Advisory Committee for the New York State Health Benefit Exchange, New York State of Health, which was established pursuant to the federal Affordable Care Act. Mr. Basso received his Bachelor’s degree from Adelphi University. His company funds a scholarship specifically to be awarded to an Adelphi student planning to enter the HR field and each year, the amount of the award increases to mark Alcott HR’s years in business. Mr. Basso resides in Smithtown with his wife, Diane, and enjoys spending time with their two children and five grandchildren. He is a competitive tri-athlete and has been an active participant in the Leukemia and Lymphoma Society’s “Team in Training” fund-raising campaign serving as Mentor Captain and Coach. He and his wife have personally raised thousands of dollars on behalf of the organization. He and his company also support CN Guidance & Counseling Services, which provides clinical treatment, rehabilitation, housing opportunities, social and support services, counseling and guidance to individuals, families and the community affected by mental illness, developmental disabilities, psychological difficulties, addiction and/or chemical dependency problems. Under his leadership, the company has been a consistent sponsor of its annual golf outing and Runday events. In 2015, CN Guidance & Counseling honored him for his work with the agency at their first annual Taste of Hope Gala.